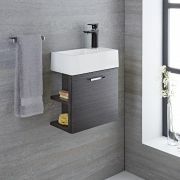 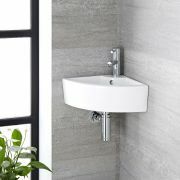 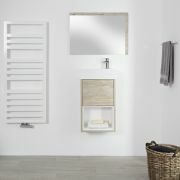 Even the smallest bathroom or cloakroom can be made to look stylish with the wall-mounted Milano Minimalist 400mm vanity unit and basin. 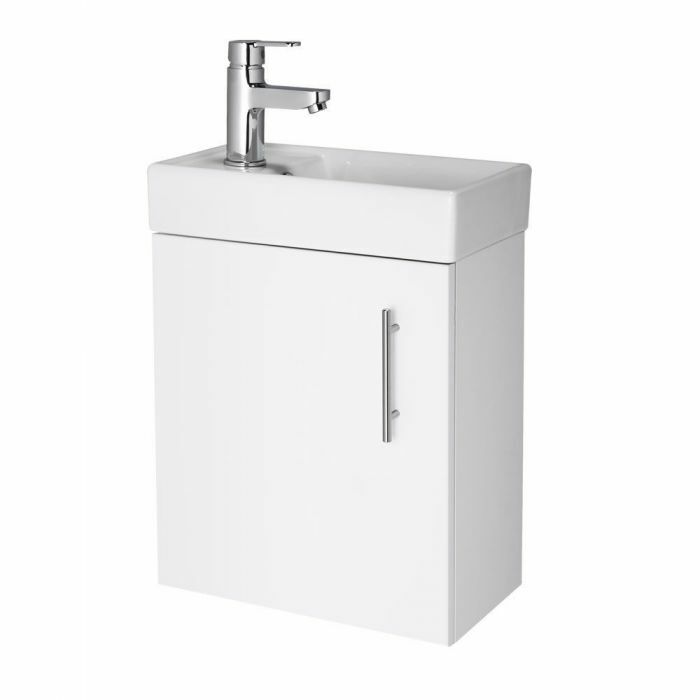 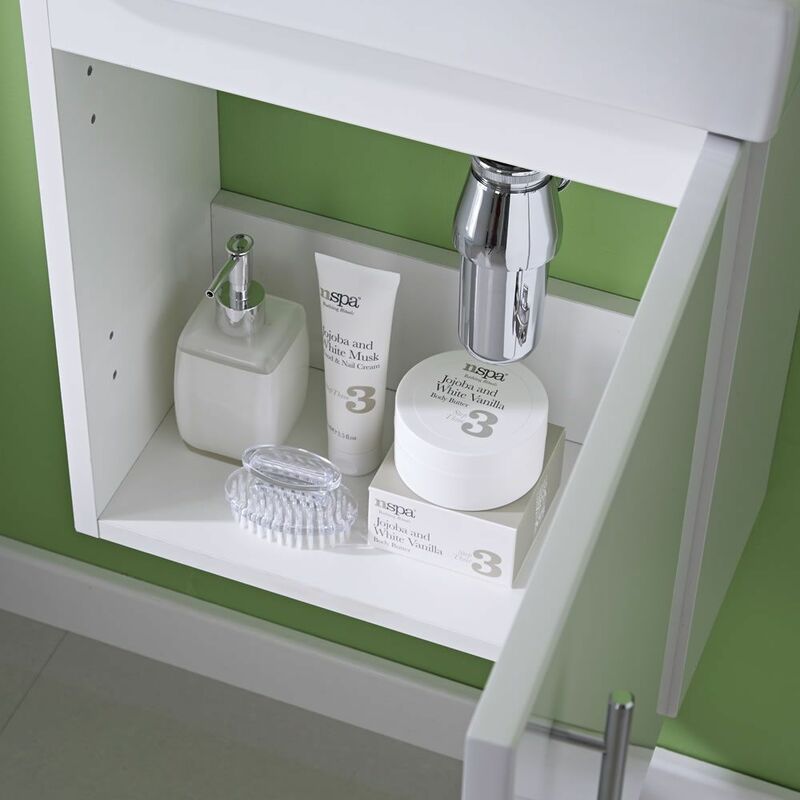 With a modern gloss white finish, the Minimalist vanity unit benefits from a strong moisture resistant engineered wood construction to ensure it has a long-lasting durability. 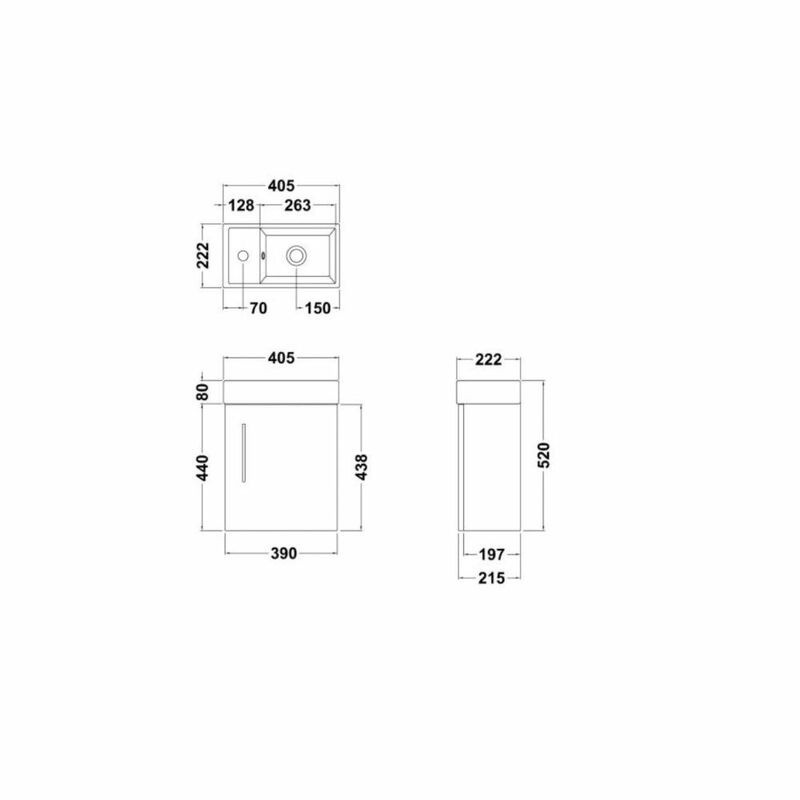 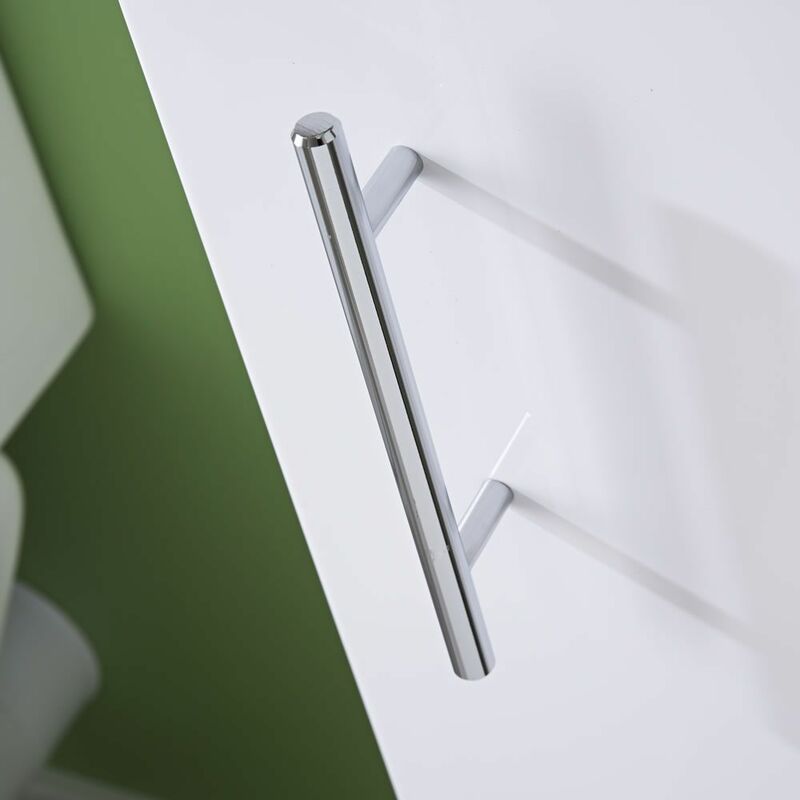 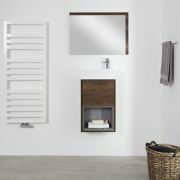 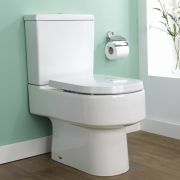 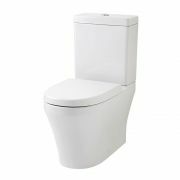 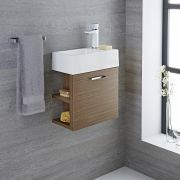 The compact design features an integral cupboard to store your bathroom essentials and a reversible door fitted with a chrome handle. 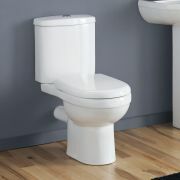 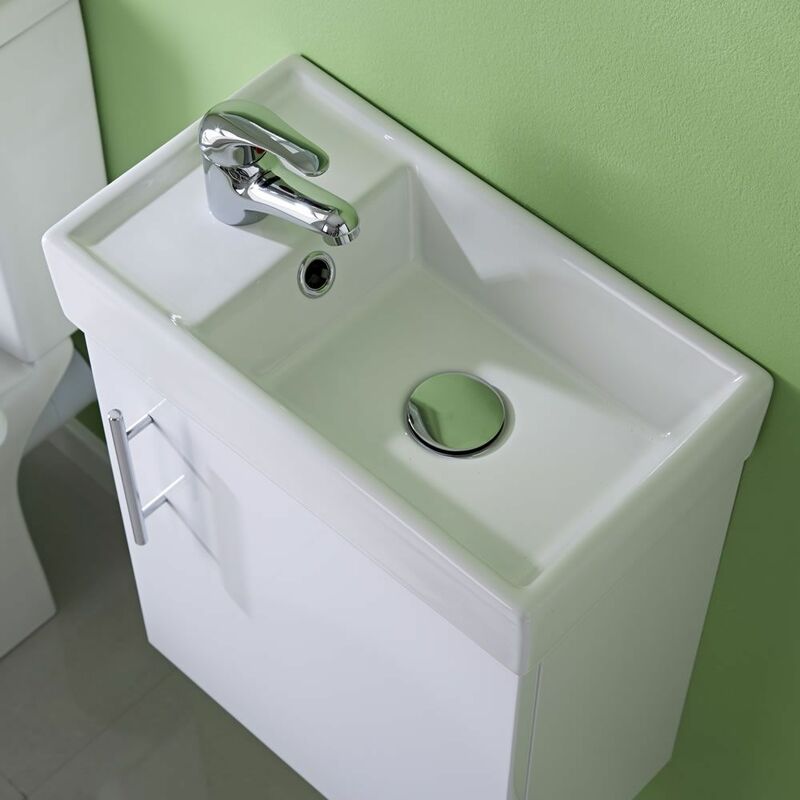 The high quality ceramic basin, with an easy to clean white glaze finish, is reversible and is fitted with a single tap-hole for compatibility with any of our mono taps.